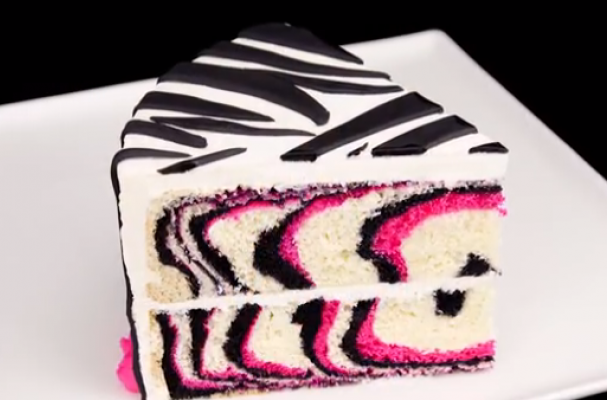 This pink and black zebra cake from Cookies, Cupcakes and Cardio is pretty enough for any occasion. The video below shows you how create the zebra effect using two colors. This decorated zebra cake is great for birthday parties, bridal showers and baby showers. Watch below and get the full zebra cake recipe here.